Housing & Facilities - Agriculture Internships in Denmark.Agriculture Internships in Denmark. 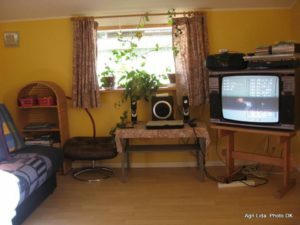 1 furnished room in rural location DKK 1.500 – 2.500 per month. The prices for interns housing vary according to the type of room, to the location and to other amenities. 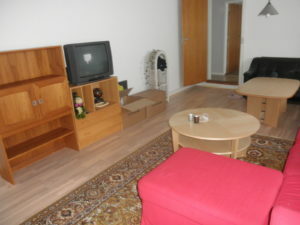 Usually, the rent for a single room ranges from 1,500 to 2,500 DKK per month. The rent has to be paid in advance, at the beginning of each month. It is the internship host who offers rooms. Not all rooms share the same price and have various standards, but generally rooms in rural areas are good and relatively cheap and has all you need. Students are responsible for keeping their rooms and bed space clean and tidy. 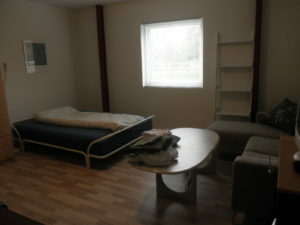 Interns stay in own room, furnished with a bed, closet and desk. Interns has acces to kitchen that has a fridge and stove, pots and pans and basic cooking and eating utensils. Interns has acces to bathroom with shower. Interns has access to a washer. Interns buy their own groceries and do their own cooking but sometimes, eaten with the family. Kitchen, laundry, shower and toilet facilities are mostly shared. Interns are responsible for cleaning their own rooms and the shared kitchen & toilet. You can decide, as a group, how you want to achieve this goal, but all interns will be responsible for the care and clean appearance of the house. Pets are not permitted in the intern house. Bring your own laptop and smartphone to access WiFi. It is your responsibility to open and read your Digital Post. If you do not check your Digital Post regularly, you may not see post that requires action. Your Digital Post may contain decisions and notifications that require your attention. The internet is wireless and included in the rent or separately rental agreement. All general communication with students will be via email. It is essential that students keep their email address up to date so that they can receive emails. Work clothes are provided by the employer. It is important to bring clothing and footwear suitable for the time of the year that you will be interning. You will need clothes to keep you warm and dry in the winter and cool in the summer. Please try to bring at least a week’s supply of clothes to cut down on the amount of laundry that you will be doing. Note: Pack light, if you find you need something upon arrival, there are stores in the area. Cigarettes may NEVER be smoked indoors. ZERO – tolerance policy regarding drugs.